Coming from a background in visual arts Miletić started wondering whether words could be our new images. And what could then the role of poetry be in this word of appearances? Could poetry be an ally, or “a barking dog to a revolutionary reconfiguration of human society – a revolution which would destroy all social roles, that of the poet included?” With this attitude Miletić started editing a collection of photographs that she has made over the years of amateur graffiti on the city walls in Zagreb. Documenting and editing these ‘writings on the wall’ helped the artist to understand what is at stake on a (micro)political level in her hometown. At the same time this writing is often articulated as poetic wordplays and aphorisms. 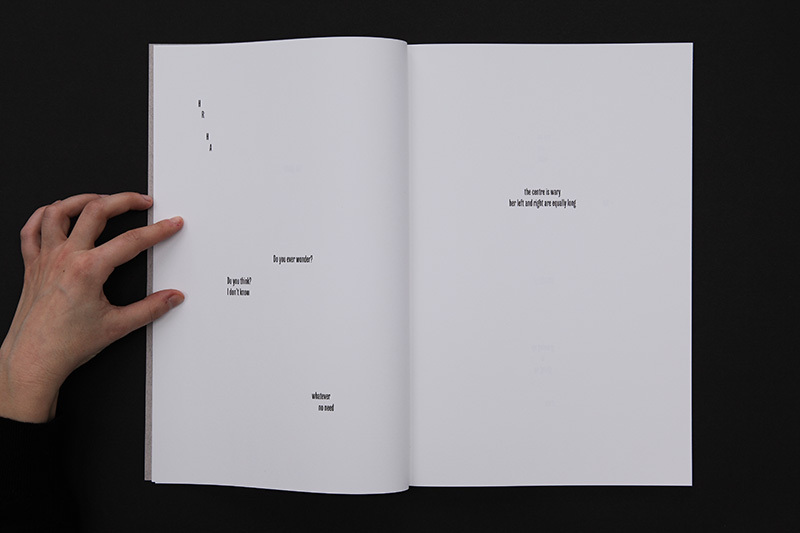 By isolating the words from their usual environment and by expanding them onto the pages of a book Miletić is able to amplify their more basic qualities. 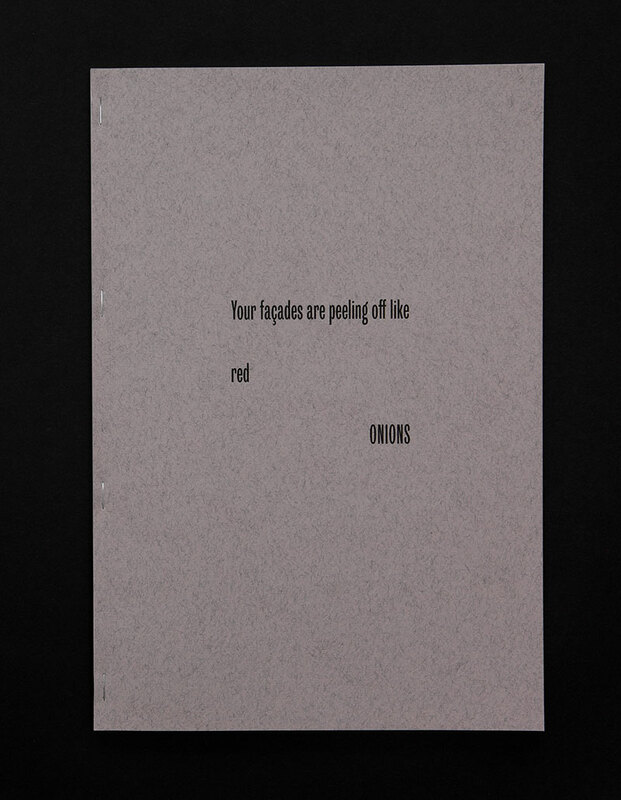 Therefore the book resembles a volume of concrete or minimal poetry. In 1975 the Croatian artist Mladen Stilinović made a publication with the title Hairdressers (Frizeri). Stilinović’s liporello presents in sequence a series of painted signs placed over or next to hairdressing salons in Zagreb. The specific “design” reveals the work of an amateur, of the sign-painter whose unskilful works identify offered services. In her work Coif Mode Hana Miletić puts her interest in the parts of Brussels inhabited by Muslim immigrants. By dislocating from their inherited cultural identity they partially accept, partially change the environment in which they live. While others will notice the way they dress, eating habits or their way of (co)existing in the urban circumstances, Hana Miletić captures the way in which the hairdressing salons are decorated in these neighbourhoods, covered with photographs from commercials from the 1980s and the 1990s. 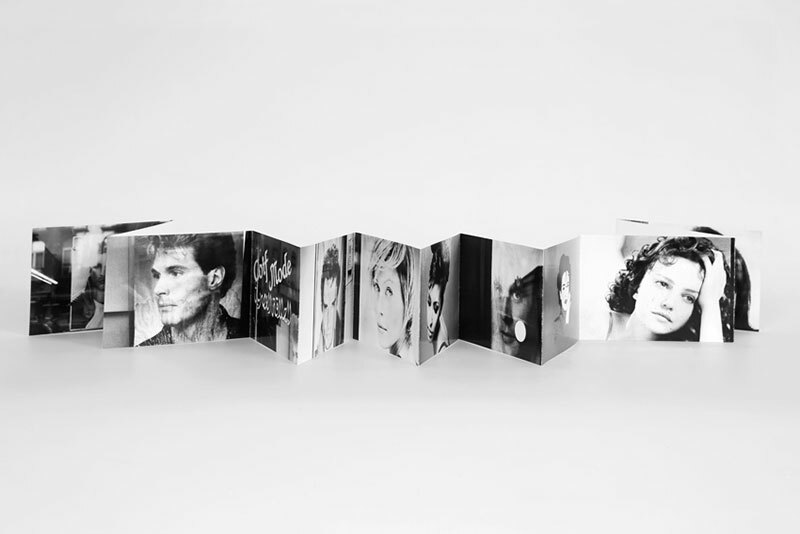 They function as a kind of time-based and cultural screen, made out of photographs of old-fashioned western hairstyle models.